The caller claims that a warrant is already outstanding for the taxpayer’s arrest or that law enforcement will be notified if payment is not made immediately. They then ask for credit card or bank account information in order to arrange for the payment of the amount “owed.” The most recent incarnation of this type of fraudulent call has replaced the live person with a recorded message, insisting that a warrant for the victim’s arrest has been issued and requesting that you call a number a soon as possible. The IRS will never initiate collection activity by telephone. They will always send out a series of notices by mail. The IRS will not demand payment of a tax liability via a credit card or debit to your bank account. The IRS will never request credit card information over the telephone. The IRS will never threaten to bring in local law enforcement or have someone arrested for not paying an outstanding tax liability. 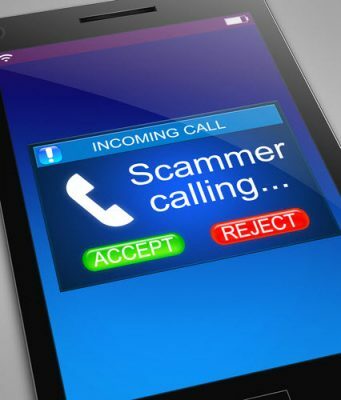 If you have received one of these fraudulent calls, you may report the call to the Treasury Inspector General for Tax Administration by calling 1-800-366-4484 or at www.tigta.gov.